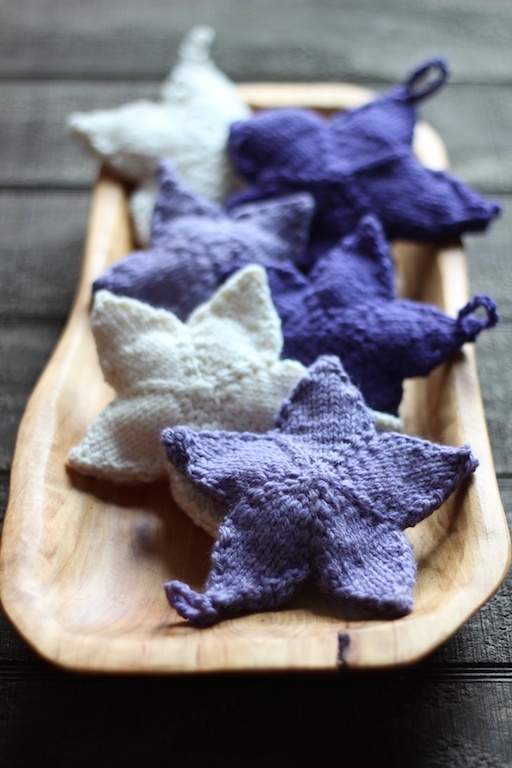 I made some of these these knitted stars last year and loved them so much that I made more last month for my friend who loves the color purple. Her colors in her house are beautiful plums and ivories, so that’s what I made for her. 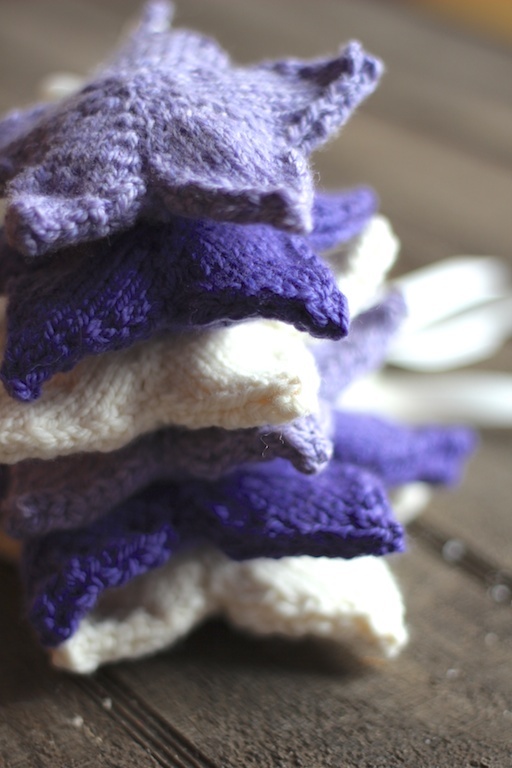 This is an easy pattern and fun to make. It only takes about an hour and a half to do one star. 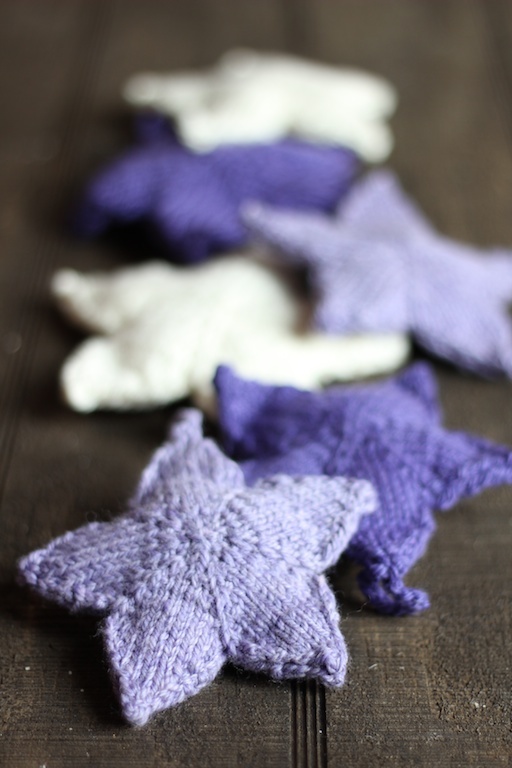 I used various sized needles to get various sized stars. You can stuff the yarns just with the weaved in ends or, for a puffier look, with some polyfill. The yarn I used was Stonehedge, which is a great soft yarn made right here in Michigan. I love it and it comes in lots of colors. 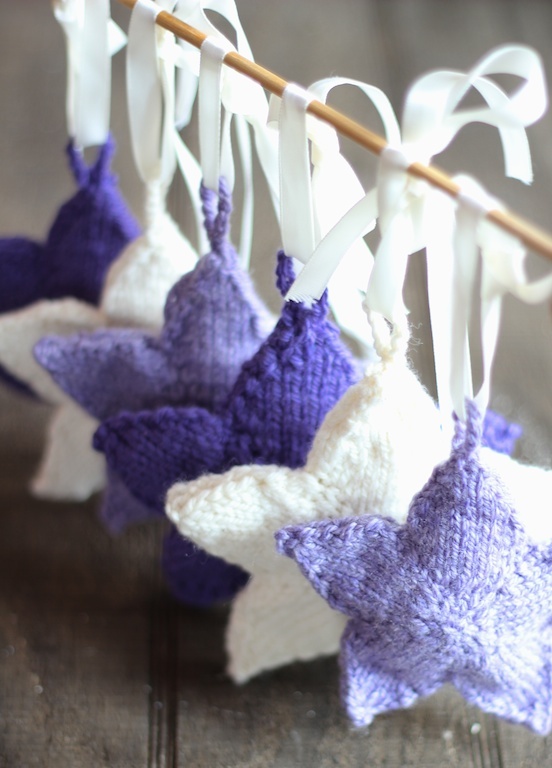 I crocheted a little hanging loop on each star and slipped a white satin ribbon through each one so they could be hung. These would also be pretty, though, without the hangers and just thrown in a bowl on the table. Love it. They’d be great in red, white, and blue for Independence Day too.